The Quarry is our comfortable one bedroom apartment in Peoria, IL that features an open kitchen, spacious bathroom and living area. This open floor plan offers a full size washer and dryer, abundant storage space, and a living area that is perfect for entertaining! 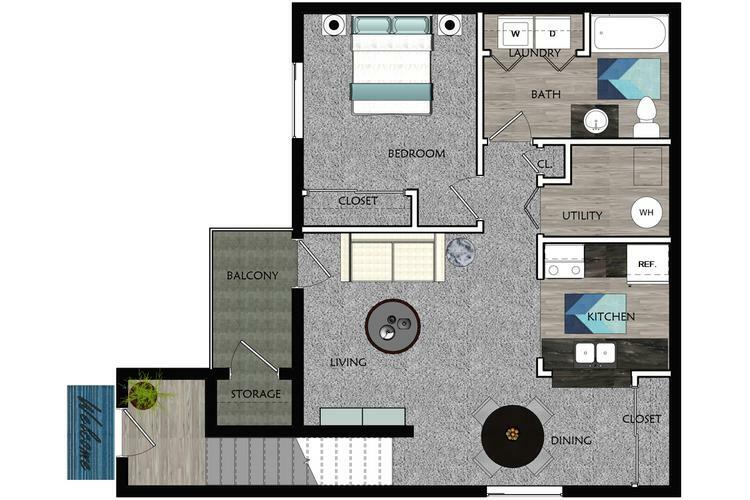 With a private balcony and separate dining room, the Quarry is the perfect floor plan to call home!